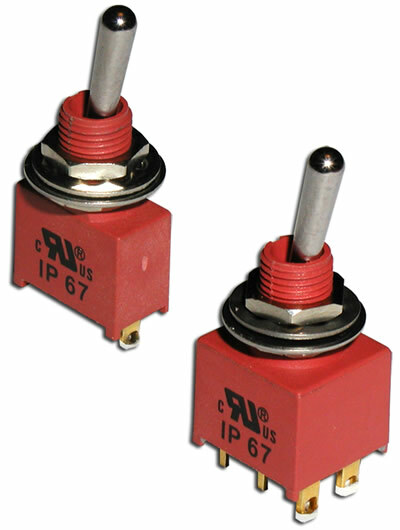 Available up to 3PDT with numerous functions, the AST Series miniature toggle switch is IP67 process sealed and offers multiple latching options. Terminal options include solder lug, PC pin, quick connect, horizontal mount right angle PC pin or snap-in bracket, vertical mount right angle PC in or snap-in bracket, PC pin support bracket or snap-in support bracket. The AST Series offers actuator lengths ranging from 7.62mm up to 12.7mm, including anti-static plastic options. 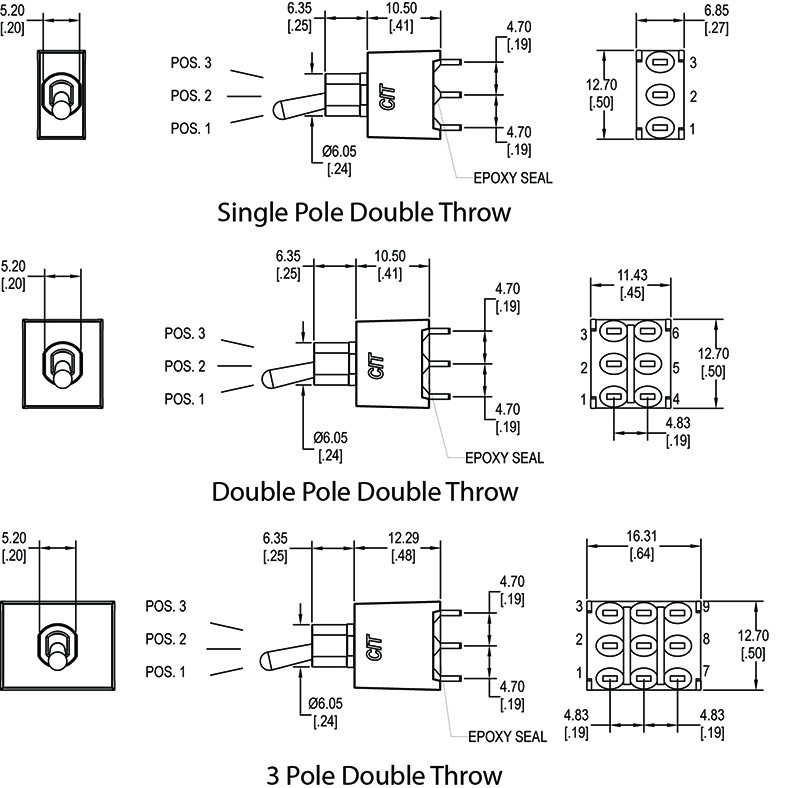 Bushing options for the small toggle switch include 8.89mm threaded or 6.10mm non-threaded.